It has now become common practice at CNP to travel with diverse groups. Photographers come from all continents with totally different skill levels, ages and professions. I will not blame anybody who thinks that this can never work but let me tell you that without any exemption they all return home with photographs that are in many cases worthy of being part of any professional portfolio. The magical ingredient is passion. Our client’s passion to take home great images and our passion to help them succeed. Ok, that is not all! There is absolutely no doubt that photographing from the CNP boat, working from the comfort of a 360-degree swivelling chair with gas struts and gimbal heads facing your subject all the time. 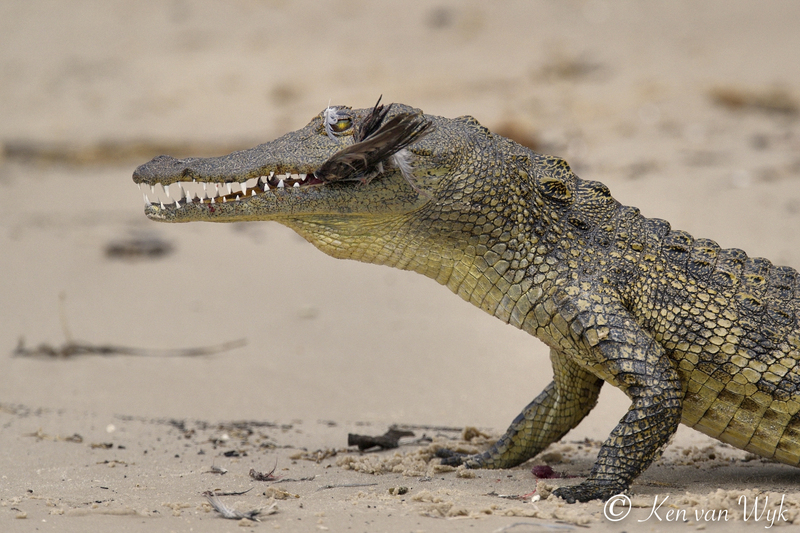 And finally shooting from eye level or below allows for photographs that will not be achieved in any other way, add to this the in-depth experience of the CNP Tour Leader (eish this was my 87th trip with clients on the Chobe!!) on the Chobe and throw in a bit of good light and we are all home and dry. Wonderful and Happy Group of CNP clients! Please note that all the photographers on the trip captured great images of all the scenes that are depicted below. 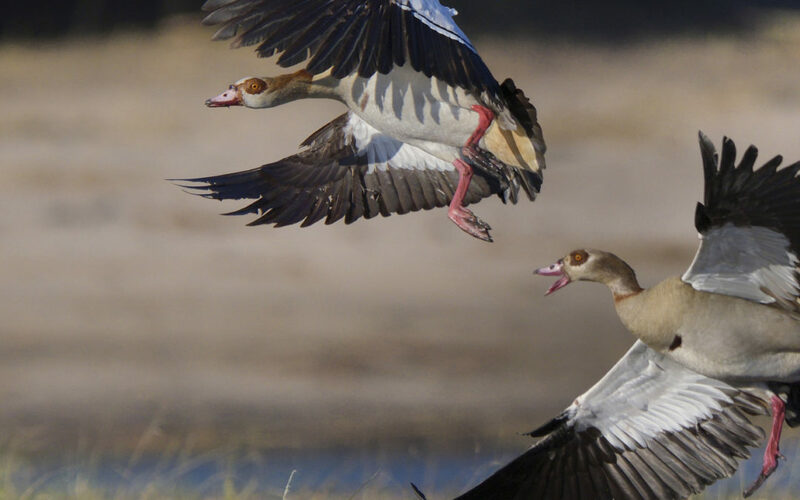 The photographs selected below does not necessarily depict the best of a specific scene and that the action images of similar species were not captured in the same scenes. 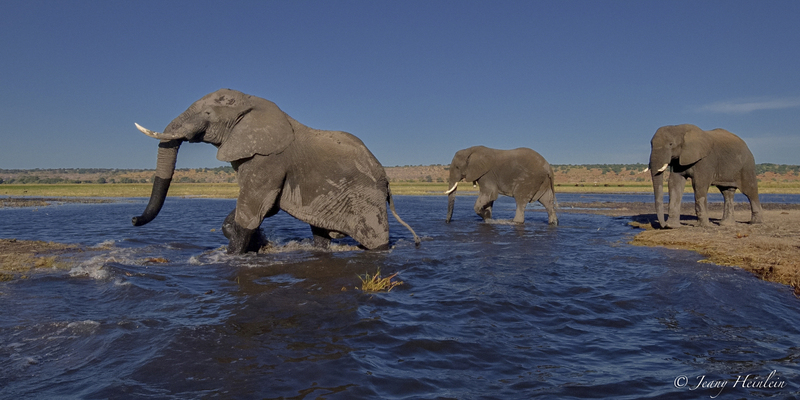 I choose photographs to allow Chobe to tell its own amazing stories. Furthermore, there were so many scenes worthy of a blog post that does not feature in this post at all. 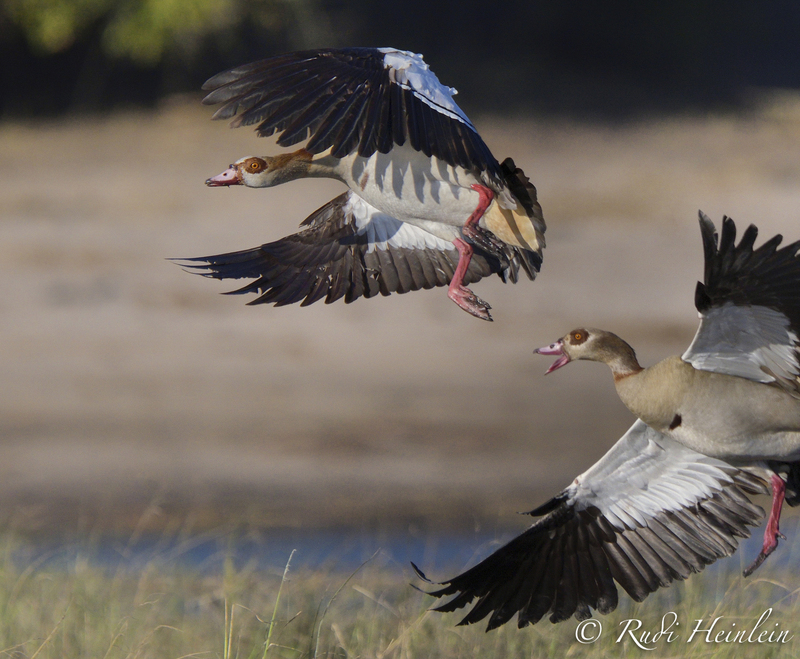 I can truthfully say that I meet a lot of wildlife photographers that after many years of photography do not have an action photograph of Egyptian Geese remotely close to what Rudi achieved on his first attempt. 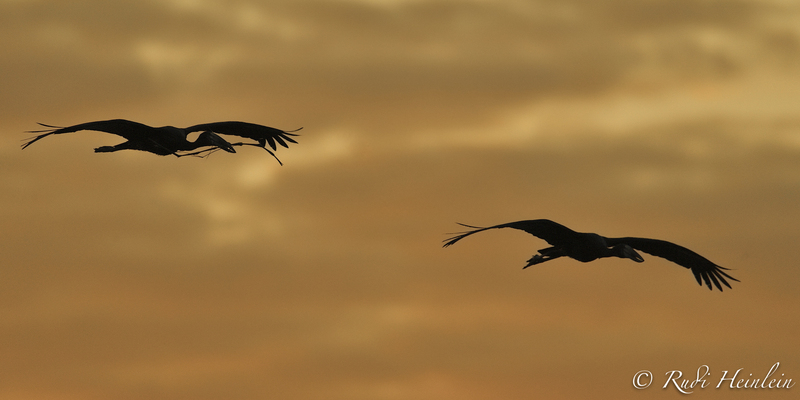 Rudi’s sunset photograph of two Open-billed Storks would be appreciated by most photographers. Well done Rudi and Bon Voyage! She is smart, witty, beautiful and 80 years old. She also suffers from arthritis and she shoots this kind of action! Enough said….we salute you Bibi! For me the accommodation and food were great. I never experienced a large herd of buffalo at eye level in the water all around me such as the way we did on this trip. 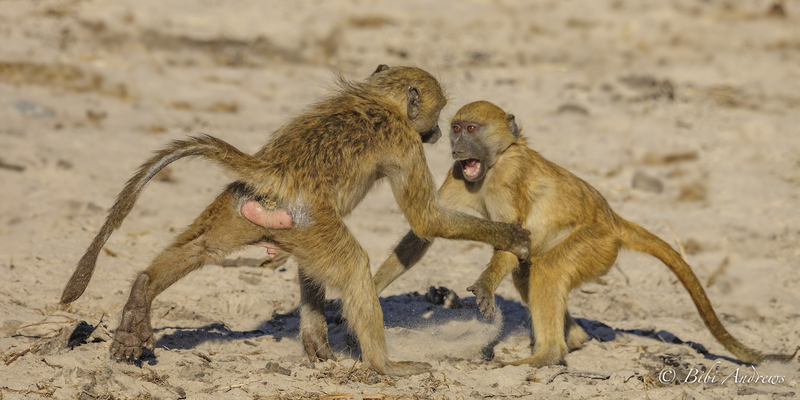 The weather did not always play ball but I really enjoyed photographing the large troop of Chachma Baboons in good early African light. 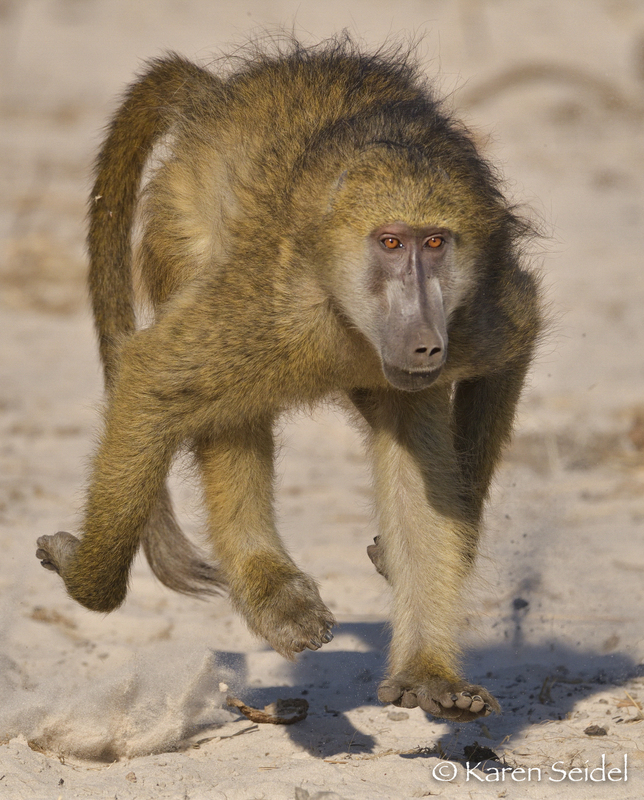 The interaction between the baboons and Banded Mongoose was surreal. 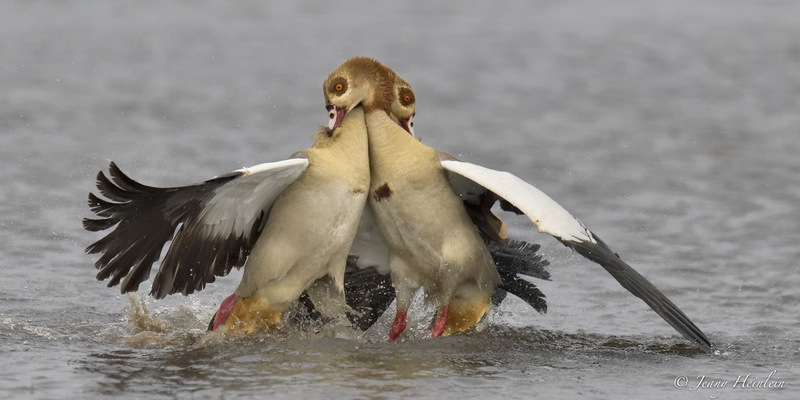 The Mongoose fighting is also something that I never photographed before and I am really happy with the results. I really loved the group of people we travelled with. 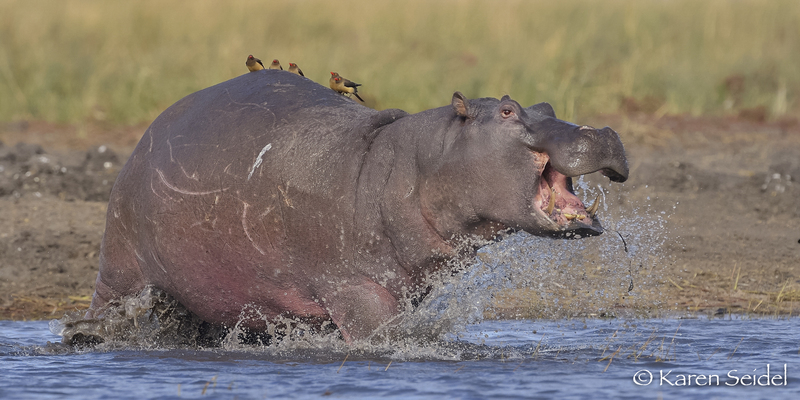 Simply put, to be able to shoot the action with a long telephoto lens that I was able to shoot on this trip at my age would not have been possible in any other way than being with a highly skilled photographic tour leader and shooting from the comfort of a CNP photographic chair. Although she is still a junior photographer in terms of her age the same cannot be said about Sorentia’s photography. 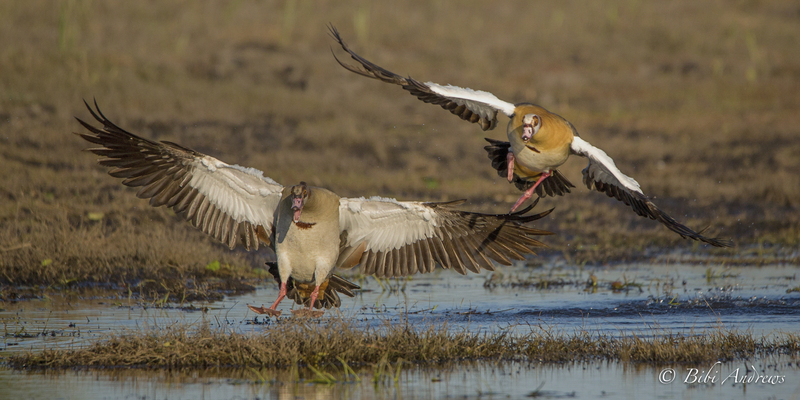 I have chosen two of her action bird images for you to enjoy here. 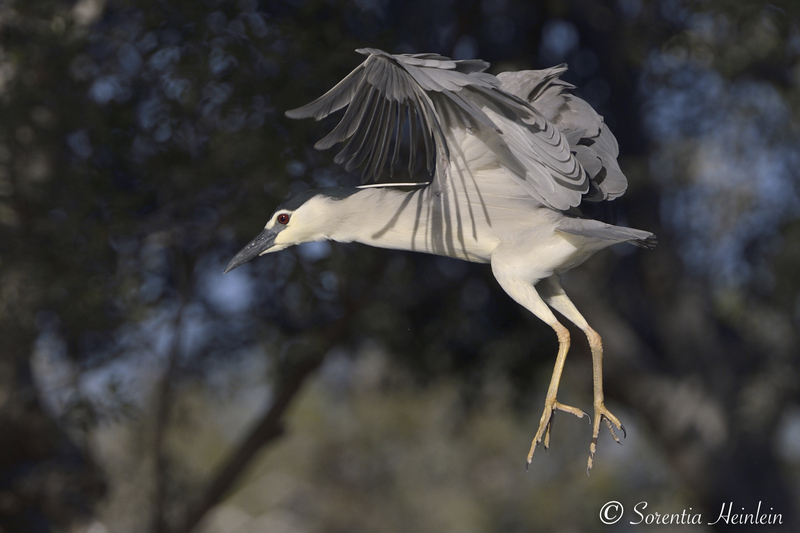 What is more amazing is that photographers who have a clean shot of a Night Heron in flight and in good light are truly few and far between no matter how long they have been in the game. I am constantly impressed with Ken’s devotion to photography and his hunger to constantly learn and improve and it shows in his photography. Great storytelling shots Ken! I remember, just like it was yesterday, the first time Karen photographed from the CNP Photography Boat with me many years ago and she will forgive me when I say that she at that stage only knew where to switch on her camera. In her own words “she knew nothing”, but how that has all changed! She is focussed, dedicated and shoot with the best. Well done Karen I enjoy your growth immensely! To think that Jeany only actively started with wildlife photography in September 2017. World class images from an extreme wide angle up till telephoto with a high res D850 and shot to virtual perfection. Jeany you clearly paid attention in class. Well done! Photographing from the CNP Photography Boat was amazing. The custom chair was comfortable and allowed me to take shots that I never dreamed of. 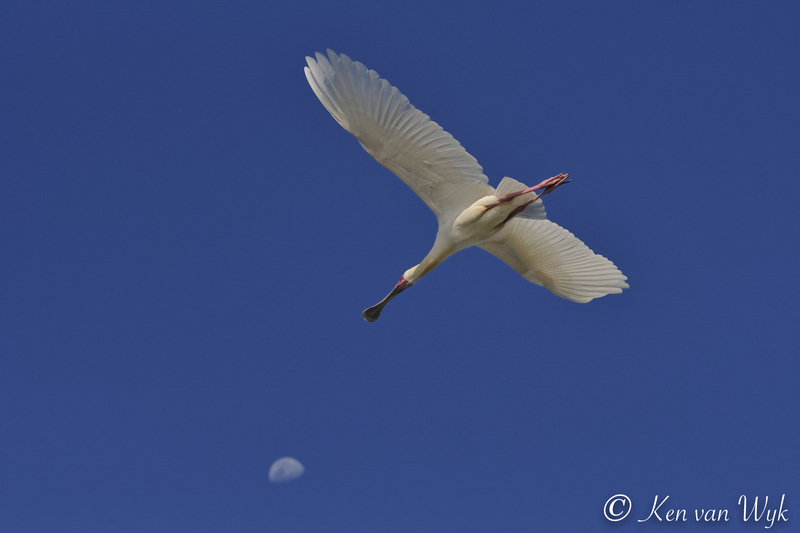 The Chobe must be the best bird photography destination on earth. 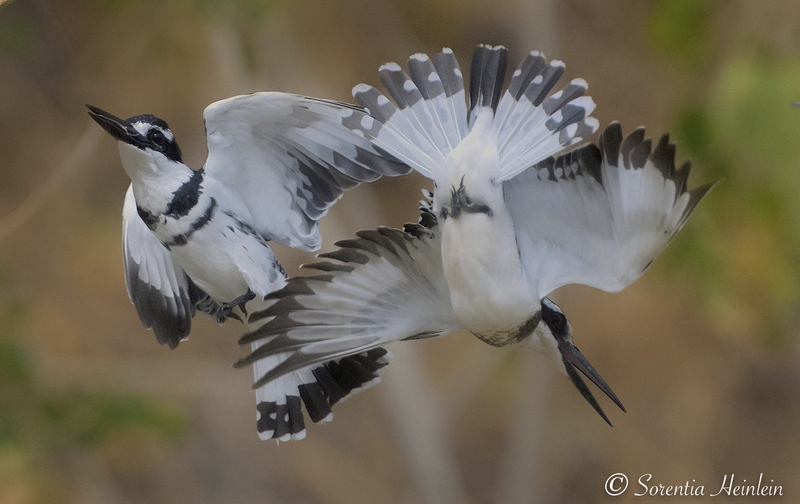 Being amongst the birds and at eye level photographing their behaviour and interaction was totally amazing. CNP 5 out of 5 … plus! To imagine that in the middle of winter we had only around 40% good African sun light and just look what all our clients have achieved. Heart warming to say the least. 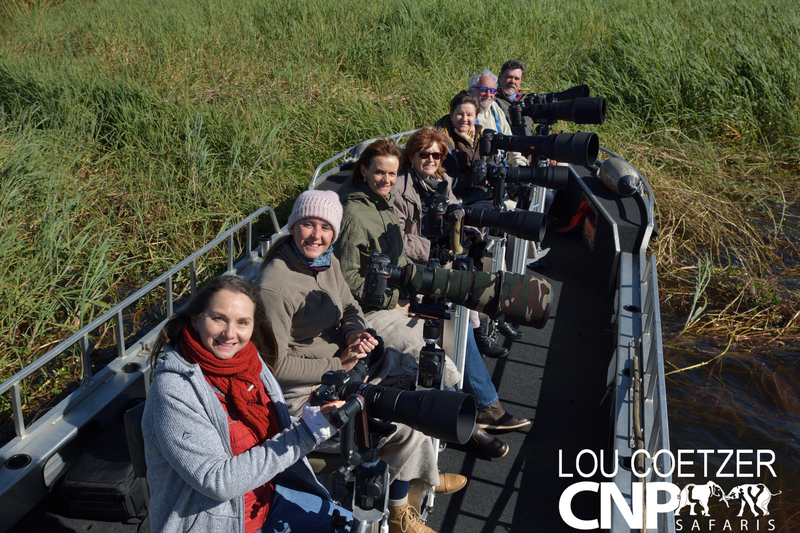 At CNP we came up with ingenious ways to make the amazing Chobe River more accessible to photographers at prices comparable to those of a decade ago. Please talk to us so that we can show you how you can experience this extraordinary place.